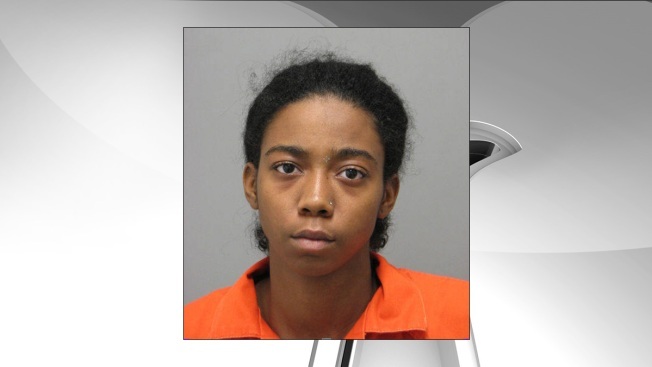 A Woodbridge woman has been sentenced to almost 19 years in prison for the stabbing death of a high school student. Diandra Samuels, 20, had previously pleaded guilty to second-degree murder in the September 2013 death of Kenny Diaz, a football player at Woodbridge High School. Six other adults have pleaded guilty in connection with the case, but prosecutors at Friday's sentencing described Samuels as the leader of the mob that killed Diaz. The Washington Post reports that Samuels had robbed a friend of Diaz during a marijuana purchase. Diaz and two friends then tried to rob Samuels in retaliation. That attempt went awry, and Samuels led a group of people who took Diaz into a park. It was there that Samuels stabbed him.